Planning a trip to the region sans a car? Lonely Planet's Washington, Oregon & the Pacific Northwest guide, our most comprehensive guide to the region, is perfect for exploring both top sights and lesser-known gems. Looking for a guide focused on Seattle? Check out Lonely Planet's Seattle guide for a comprehensive look at all the city has to offer. For more road-tripping ideas, check out Lonely Planet's USA Best Trips guides to New England, Southwest USA, California, Florida & the South, New York & the Mid-Atlantic, and USA. 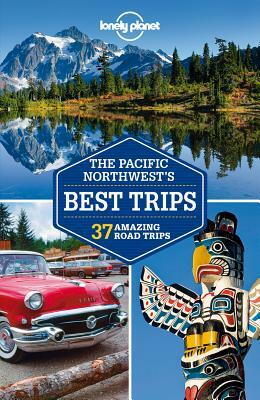 Or start with our FREE SAMPLER 'USA's Best Trips: 7 Amazing Road Trips, ' with excerpts from each guide to help you pick which region to explore first. Also, check out Lonely Planet's European Best Trips guides to Italy, France, and Ireland and our FREE SAMPLER 'Europe's Best Trips: 3 Amazing Road Trips' for more road trip inspiration. Authors: Written and researched by Lonely Planet, Mariella Krause, Celeste Brash, Korina Miller and Brendan Sainsbury.